Construction equipment is a passion for many preschool boys in the sandbox and on the small screen. 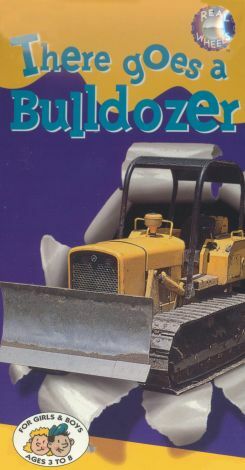 There Goes a Bulldozer is a sure thrill with its 30 minutes of heavy duty construction vehicle footage. Host Dave Hood, appropriately dressed in his hard hat, takes viewers to different construction sites to see a 225 ton crane, a giant drill, a forklift, and, of course, different bulldozers. The constructions workers explain their jobs and point out safety precautions. Highly entertaining and educational, this video is recommended for ages two to eight.